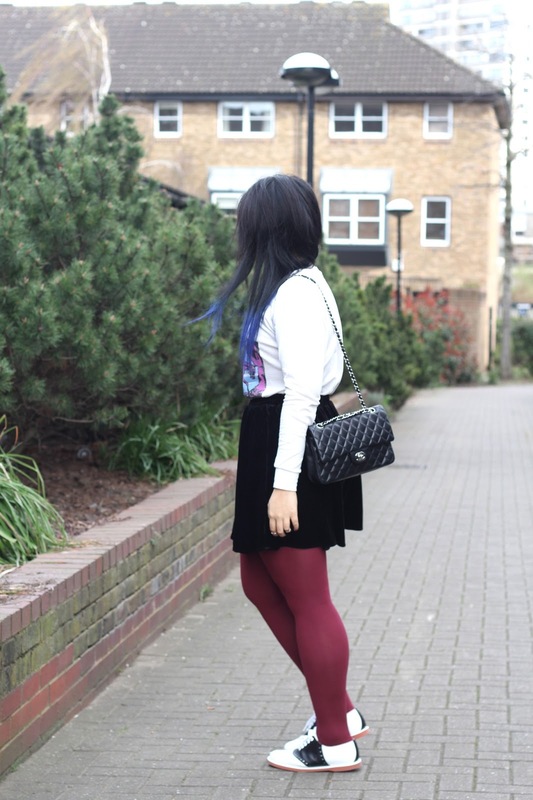 I've been absolutely in love with Out of Print clothing's shirts lately (see how I styled my Gatsby one here), they're so easy to wear and a nice change from my go to band tees. I wore this outfit to high tea the other day so I smartened it up with my new saddles shoes and a hand me down Chanel bag from my mum. Although it's absurdly scuffed and the leather's faded to a strange colour under the sun, I adore the silver hardware on it as opposed to gold, and it seems to be something I don't see as often nowadays. Don't forget to vote for this blog under 'Best New Fashion Blog' here. I love your outfits so much! :) Those shoes especially ahhh I love them! Hey nice blog...would u like follow each other with bloglovin? your skirt is soooo awesome and i love your hair. Great outfit. I really like it. Oh my gosh, that top is incredible! Beautiful! Love your tights (great color) and your shoes are so pretty! Ooohhh wow those shoes look amazing on you! U always look amazing! x A.
I love that outfit!! Especially that awesome top! love your hair and nails and accessories!! 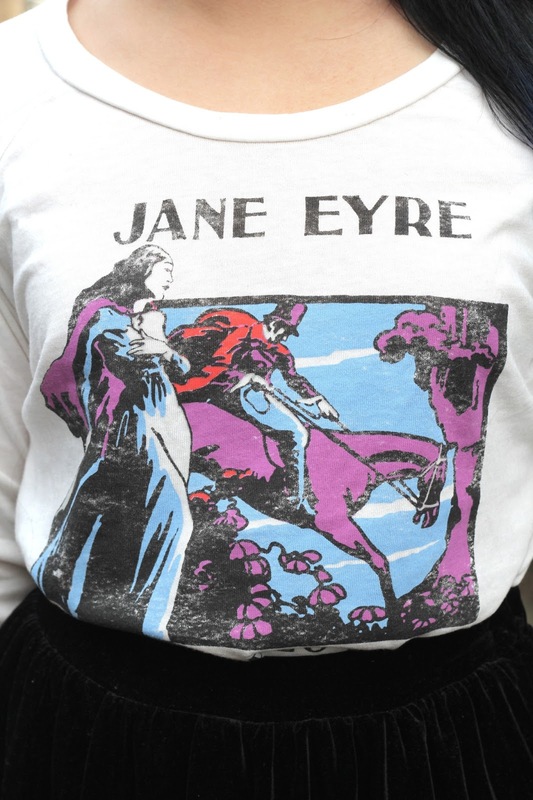 Love the outfit and how you've styled the literary jumper! 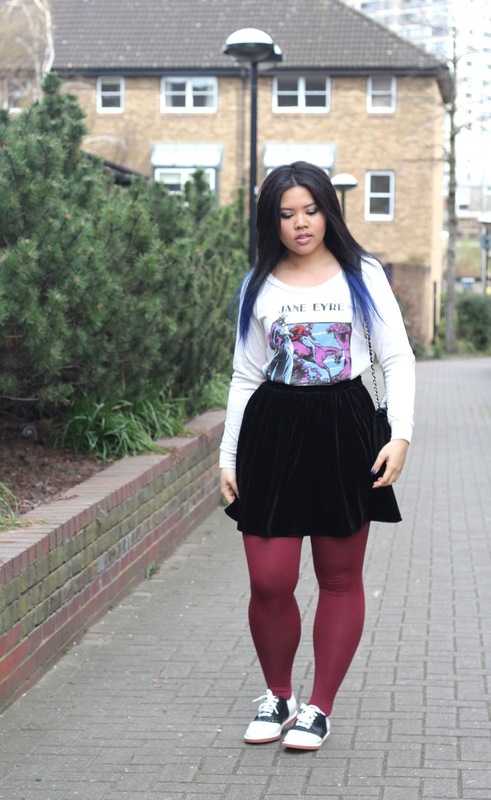 Love your styling and your blog!